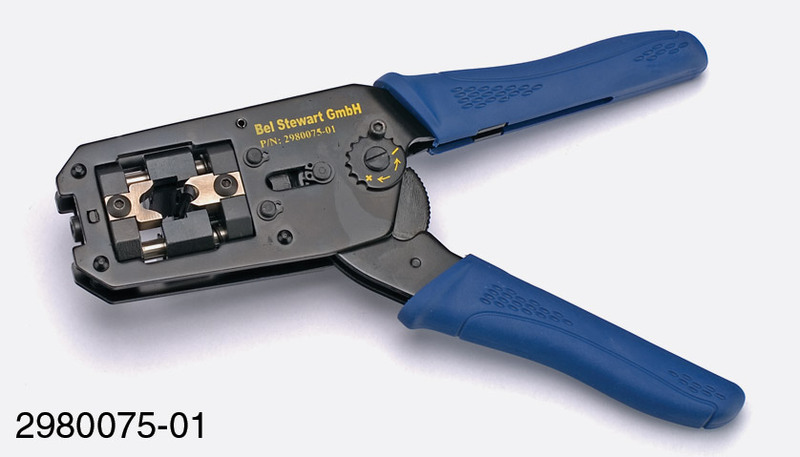 Ratchet type crimp tools suitable for both the Bel Stewart and generic RJ45 and RJ11 plugs supplied by Canford. They all have a full cycling, parallel action, ratchet crimp action with manual release. The 2980011-01 is suitable for field applications, installations and small to medium volume production. Die sets are available for RJ45 up to Cat5E level as well as RJ11 types. A thumbscrew permits quick die changes. Die sets should be ordered separately as required. Length 210mm, width 60mm, weight 460g. The 2980019-01 is a fully professional tool suitable for volume production, in conjunction with its range of hardened steel die sets. A thumbscrew permits quick die changes. Die sets should be ordered separately as required. The 2980075-01 is a special tool, supplied complete with dies, for crimping of RJ45 Cat6 shielded plugs. 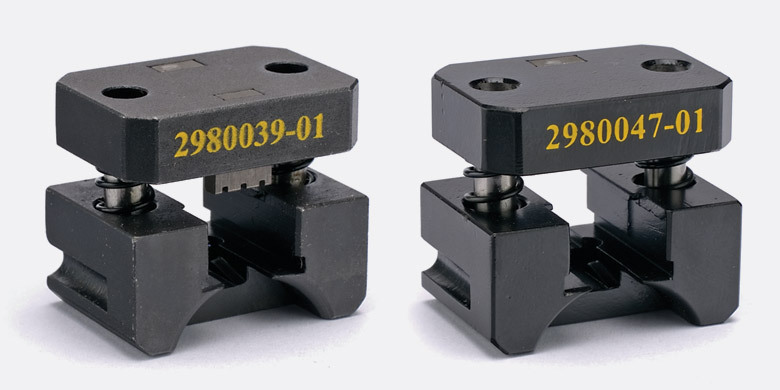 The 2980078-01 is a special tool, supplied complete with dies, for crimping of RJ45 Cat6A shielded plugs.